We offer spare parts and maintenance for rough terrain and industrial materials and access equipment. We guarantee quality and compliance with the manufacturer's original specifications of all our spare parts, supplying a full range of accessories quickly and competitively priced. All of our engineer’s van stocks are continually monitored to ensure that we can implement a ‘first visit fix’ when we visit a site for machinery and parts repairs and servicing. 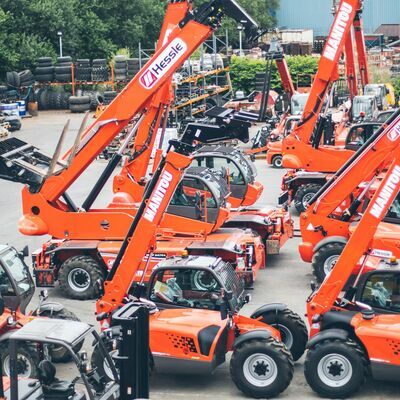 We also promote an ongoing training programme so that our staff are as knowledgeable as possible about all our heavy machinery and equipment, and ensuring our personnel within our Spare Parts Logistics Centre can give you the best technical advice.